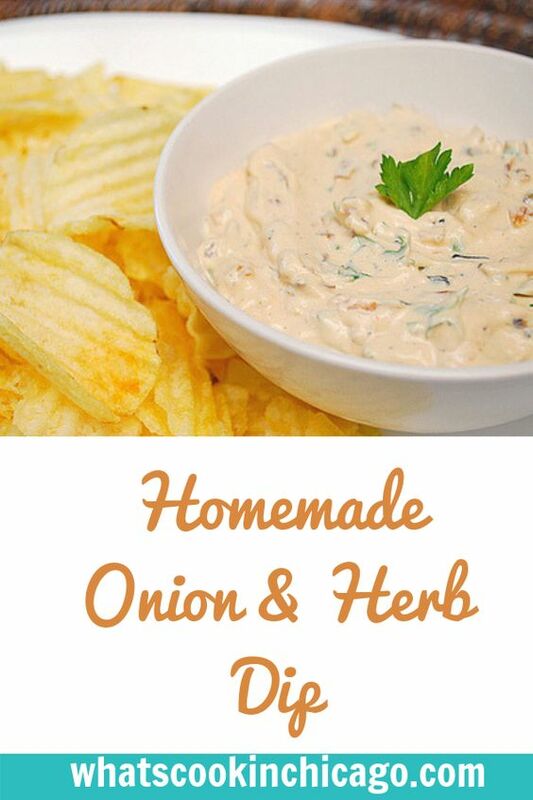 There's something wonderful about the subtle sweetness of caramelized onions swirled in a creamy combination of sour cream and mayonnaise, speckled with fresh parsley. 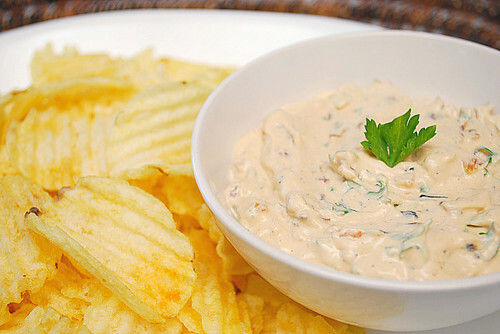 That's exactly how I'd describe this dip and the perfect vessel to enjoy this is a crispy and crunchy potato chip! There's no mistake that this recipe is easy and made with ingredients you may already have on hand. I found that the longer it chills, the more intense the flavors get... so if you love that sweet caramelized onion flavor, this dip captures it perfectly! I made a roasted garlic dip that my family chowed through, this might be my next dip. This looks really delicious! I would love to make this dip! Oh yum! This is one of my favorite summer dips. How fun to make it from scratch!